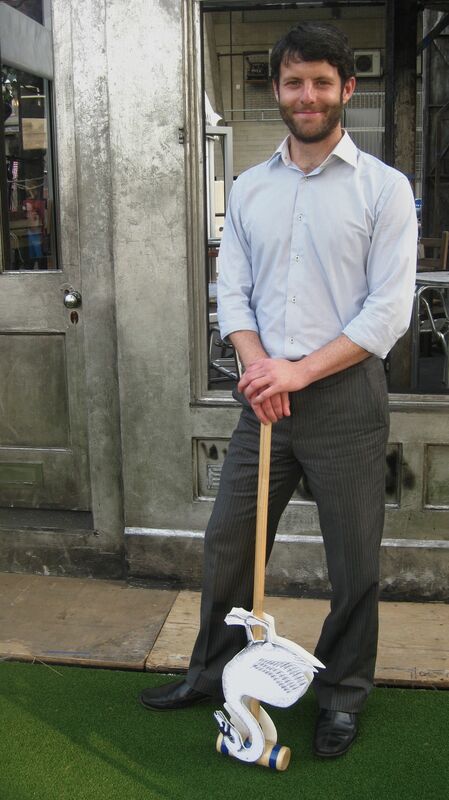 As fate would have it, my croquet career ended almost as swiftly as it began. Recently, the boy and I found ourselves on the South Bank at the National Theatre’s fantastic new Propstore – a pop-up summer bar made entirely from the company’s roster of props – practicing our croquet swings. It was all rather surreal. Clutching croquet mallets with upside-down swans plastered to the bases, we gently tapped balls around the undersized course as hundreds of perplexed passersby perused our progress. 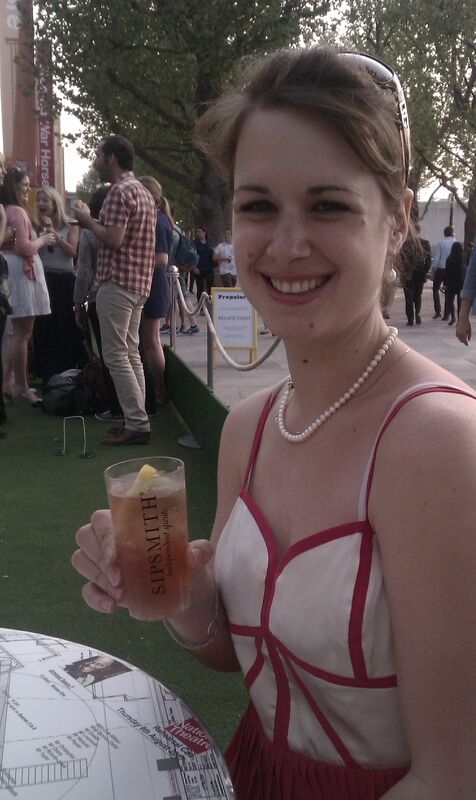 We were there for the launch of London micro-distillers Sipsmith’s new Summer Cup drink. The Summer Cup is meant to harken back to lazy, hot summers in the 1800s when English “cups” were all the rage. These were traditionally made with infused gin and fruit, and drinkers added ginger ale or lemonade to create a refreshing tipple. The drink has been in testing over the past year – a few lucky people even tried the first run last year. It was deemed popular enough to bottle and so the tiny team at the micro-distillery decided to go for it. And, I’m very glad they did. For if they hadn’t, I’d have never discovered the delicious drink or my inability to hit a croquet ball in the correct direction. 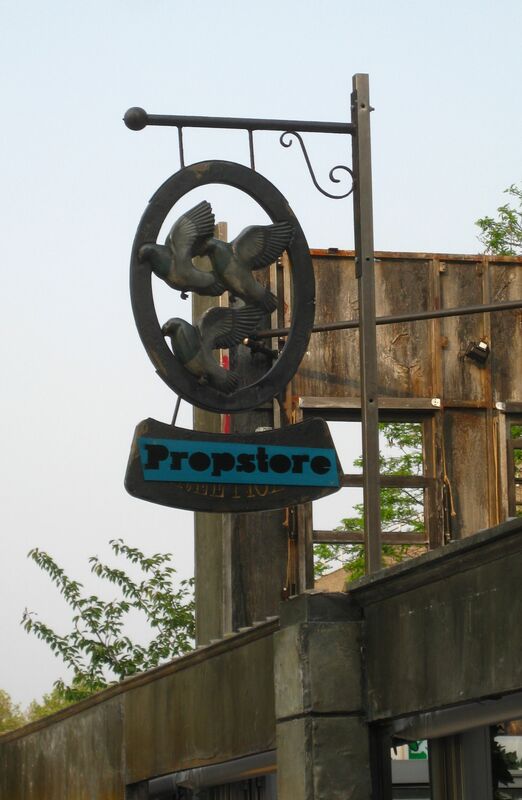 You see, in order to celebrate the Summer Cup the group set up a croquet championship cup outside of the Propstore. The fastest team around the course won. I was sure the boy and I would at least make it into the semi-finals, but a few strokes into our game against our competitors (which included Gin Monkey herself) I realised we had little chance. We fumbled, I hit the ball too hard and the swan’s sharp tail even attacked me. Our time around the six-hoop course was abysmal – 1 minute and 55 seconds with penalties. We were the first to try and, no doubt, the first to be disqualified. Licking our wounds, we retreated to a corner table. “As least we have gin,” I commiserated. And so, a few summer cups later I felt perfectly fine about all the shenanigans. The drink is divine. And very drinkable, so be forewarned, especially as it has an ABV of 29%. It is made by first distilling all of the ingredients individually (such as lemon verbana, earl grey tea, cardamom, cucumber, orange and spices) before marrying them all up with the group’s London dry gin. It’s slightly bitter (from the tea) and spicy – you can really taste the orange and cardamom – and it is incredibly refreshing. It’s richer and more complex than I expected and paired brilliantly with lemonade. I think it will be replacing Pimms on my shelf this summer! And giving up my hopes of a croquet career for good! For more details on Sipsmith and its range, visit: http://www.sipsmith.com. 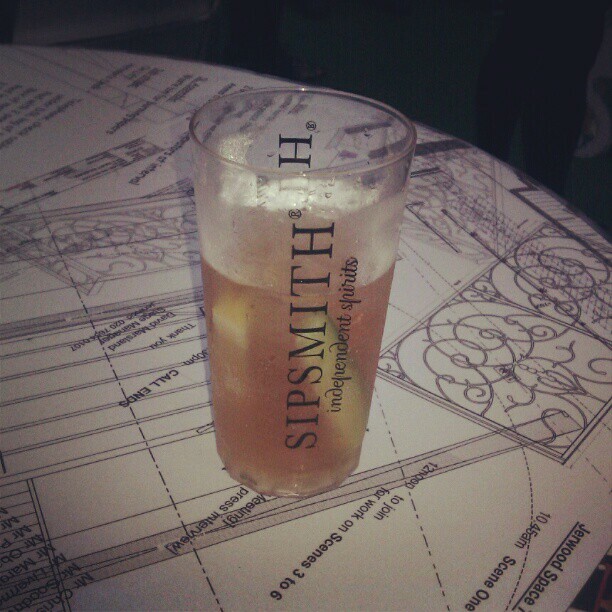 The Sipsmith Summer Cup can be purchased at Waitrose and Majestic. It retails at £18.50. The National Theatre’s Propstore runs until 29 September and is open seven days a week from 12pm, serving food and drinks, which include Sipsmith, Meantime Ales and a variety of English wines.